Reverend Parris was the minister of Salem Village Church. He is the father of Betty Parris who was a major accuser of witchcraft during the trials. 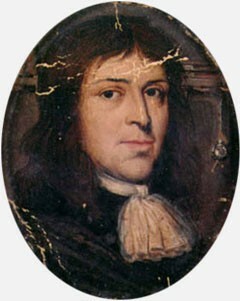 Samuel Parris also condemned many townspeople who were accused of witchcraft by a small number of citizens. He supported his daughter and friends who exhibited strange symptoms and behaviors during the trials. Many people in Salem Village blame Parris for not stopping the disaster that transpired for several months in the village. Reverend Parris has written an apology to Salem church, but it wasn’t received well by all of the congregation. Samuel Parris leaves behind a community trying to heal and recover from a tragedy of death and disaster. 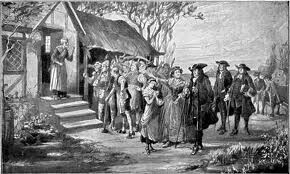 Reverend Samuel Parris will no longer be the Minister at Salem Church due to his involvement in the Witch Trials. 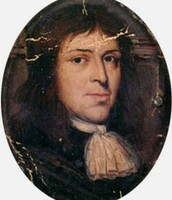 Samuel Parris had been promised a salary and other household items per his contract with the church. Parris has told the newspaper that the church didn’t pay him the amount promised as of January 1692. During this same time, his 9-year-old daughter, Betty, and 11-year-old niece, Abigail Williams, appeared afflicted. Dr. Griggs couldn’t diagnosis a medical reason for their symptoms or behaviors, so witchcraft seemed to be the logical conclusion. In the months that followed, nineteen people were identified, tried in court, and hanged for their acts of alleged witchcraft. One person, Giles Cory, was crushed after refusing to confess. 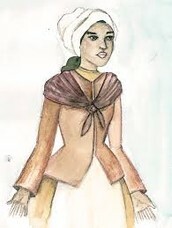 Tituba, Parris’s own servant, was forced to confess to bewitching the young girls with her black magic. Tituba said, “Reverend Parris threatened me and my husband before my trial. He told me to confess to witchcraft and also name other townspeople.” Tituba was sent to jail but wasn’t hanged due to her confession and apology. She was recently released from jail. For several months, the self-proclaimed afflicted members of Salem Village continued to blame and accuse one another. Many of these people were friends or enemies of Samuel Parris. Parris supported the use of spectral evidence during the trials. After Cotton and Increase Mather spoke out against the use of spectral evidence, the courts stopped the trials. In fact, on Saturday, October 29th, Royal Governor William Phips put a halt to all further arrests and has disbanded the Court of Oyer and Terminer. Reverend Parris feels he isn’t entirely to blame. In an interview Parris said, “I offered restitution to the accused witches and their families. I offered to subtract six pounds from my salary for 1692 and six pounds for 1693.” The church committee hasn’t accepted this offer. Currently, Reverend Increase Mather and eight other ministers have advised Parris to quit and find a job someplace else.